Established in 1924 by Albert Brookes and now managed by the third generation of the Brookes family, we are proud of our excellent reputation worldwide as leading suppliers and purchasers of high quality used machine tools. We work with customers from all areas of engineering – manufacturing, aerospace, motor racing, medical, R&D, education, automotive as well as general sub-contractors, dealing with both short & long term requirements as well as disposal of surplus equipment. Our stock is constantly changing and always offered at highly attractive prices – a significant proportion of our sales are to the merchant trade but, we are very pleased to offer our machinery at similarly keen prices meaning great value for money for our customers. 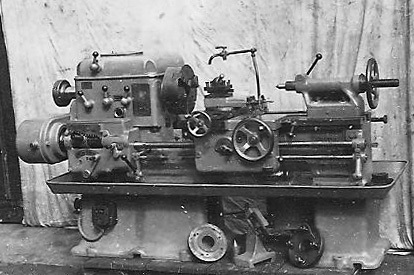 We also offer a competitively priced machine tool valuation service & have over 100 years of combined knowledge in this field, regularly undertaking valuation work for banks, finance houses, lending institutions, accountants, legal professionals, auctioneers, engineering companies & educational establishments – our service is, of course, carried out with the utmost speed & discretion at all times.